دوست دارید از کد سورس وبسایت و قالبتان محافظت کنید؟ آیا دوست دارید که هیچکس نتواند نسخه جوملای شما را با گشتن در میان کدهای صفحه تان حدس بزند؟ آیا دوست دارید مسیر عکس ها و تصاویر برای کسی قابل رویت نباشد؟ آیا دوست دارید تمامی کدهای جاوا شما برای کسی قابل رویت و فهم نباشد؟ همه این ها با افزونه yKhoon HTML Protector قابل انجام است. این افزونه توانایی کد کردن سورس html تمام یا بخشی از سایت و مقالات شما را دارد. با اینکار در صورت راست کلیک روی صفحه شما و زدن دکمه view source فرد مهاجم با یک پیغام خطای مورد نظر شما روبرو می شود. و از دسترسی به کد ها باز می ماند. 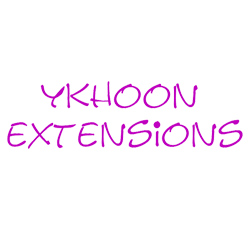 This extension is Search Engine friendly. The extension will check whether the visitor of the web site is human or search engine bots. If the visitor is human, then, the extension will encrypt or encode the HTML source code. Otherwise, the extension will do nothing. This extension does not require any special server configuration in order to work. This extension is an "install and forget" type of extension. Encrypt or encode your web site HTML source code. Detect and encrypt or encode the HTML source code when the visitor is human. Show protected message when the visitor try to view the HTML source code. Change the protected message to suit your web site. Force the web site to use UTF8 encoding. Hide the Joomla version in the HTML source code. Determine which search engine bot gets un-encrypted or un-encoded version of HTML source code. Compatible with AJAX enable web site. Compatible with Microsoft Internet Explorer, Google Chrome, Mozilla Firefox, and Opera. Does not require any special server configuration. Does not encrypt or encode the HTML source code of Joomla! Administration (back-end). Encrypt or encode the elements inside the head tag. Encrypt the article of your choice. Able to allow or forbid the content sharing on Facebook and Google+.